Let’s get something straight here, I am no athlete by any stretch of the imagination, but just a guy who suddenly found himself overweight and unfit after years of good times and contentment caught up with me. With the big 40 on the horizon and after hearing many a tale about the risks of entering “heart Attack alley” I figured maybe I should do something about it. Back in March I downloaded the Get Running (Couch to 5K) App on my phone which promised to take me from being a couch potato to running for 5k in 9 weeks which was just the nice steady approach that I was looking for. Gym memberships or direct debits as I prefer to call them are not my thing, so I armed myself with the following. The first week was really tough and was shocked that even running for 1 minute was bloody hard work but it just reinforced my opinion that I was doing the right thing. Each week I was presented with a longer run and began with me thinking “how the hell am I going to do this?” but although they were tough goals they were equally realistic and achievable. In 9 weeks I went from being unable to run across the road without getting out of breath to running for 30 minutes without stopping. 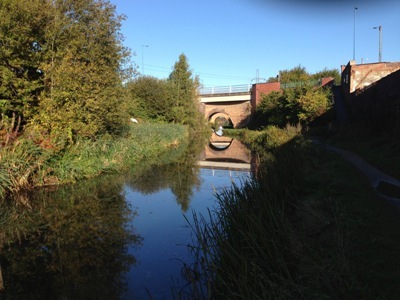 Once I had completed the program, I needed something to aim for before I got bored and drifted back into old habits, so decided to enter the Birmingham half marathon because it was in October and will give me something to aim for. After working away from home for much of the summer at the London 2012 Olympic and Paralympic games, suddenly I found myself in September and a need to increase mileage sooner rather than later. Although, I have left it a little late, I have been able to get six 8-10 mile runs under my belt and I have seen a few nice sights along the way so hoping this will be enough to get me across the finish line tomorrow morning. Don’t worry, I’m not turning into a fitness bore, to be honest all this pointless willy waving of bragging rights about being faster than anyone else is just one big ‘who can piss higher than the other’ and something which is quite uninteresting to me. You just got to run your own race for your own reasons and to hell with everything else. On the eve of my big run, a quick browse through some running magazines tells me to eat almonds, pasta, bananas, oatmeal porridge, rice, fish, fruit, vegetables and fish but I am not foolish enough to class myself as an athlete so decided to treat myself a JD and coke with some fajitas. For me this whole running thing is not about competing with everyone else but about getting out in the great outdoors listening to great tunes and taking your surroundings so more than happy to stop my run and take a few impromptu photos to record the moment. 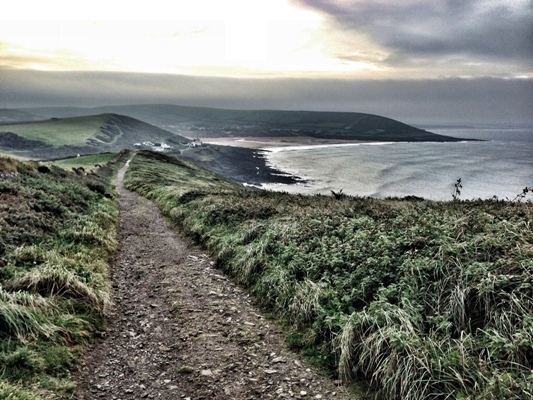 A recent 8am run from Croyde Bay to Baggy Point and back again. This is what makes running interesting to me, but I think the secret to making this work, is to find what interests and motivates you as an individual. This is why so many diet and keep fit plans fail because we are all individuals and unique, so a one size fits all solution simply does not exist. Sorry I went a little deep there, but you know what I’m trying to say so I guess it’s time to ease of the Jack Daniels and coke and get some rest ready for the big race tomorrow. I won’t get the best time, but I am determined to enjoy every second and will be sure to take a few photos along the way. I will be running for the Help the Heroes charity and feel free to drop by the sponsorship page.